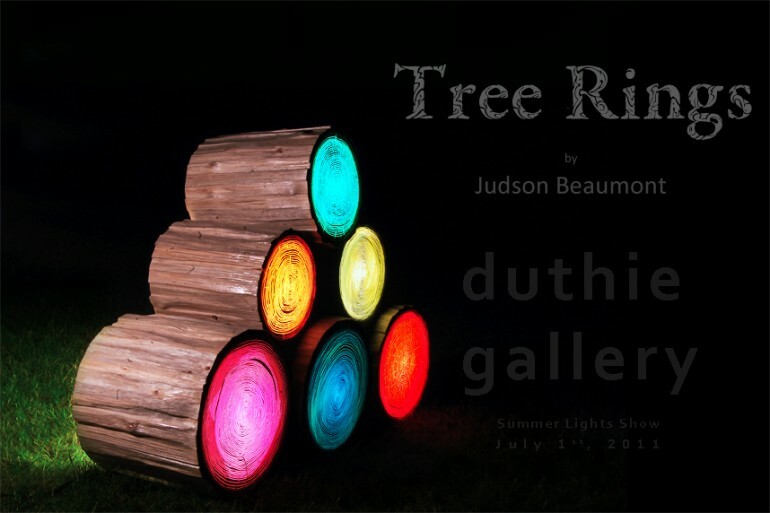 Summer Lights features illuminated works of art in the environment, artifice in nature, pieces of public art made to be visible in the dark. 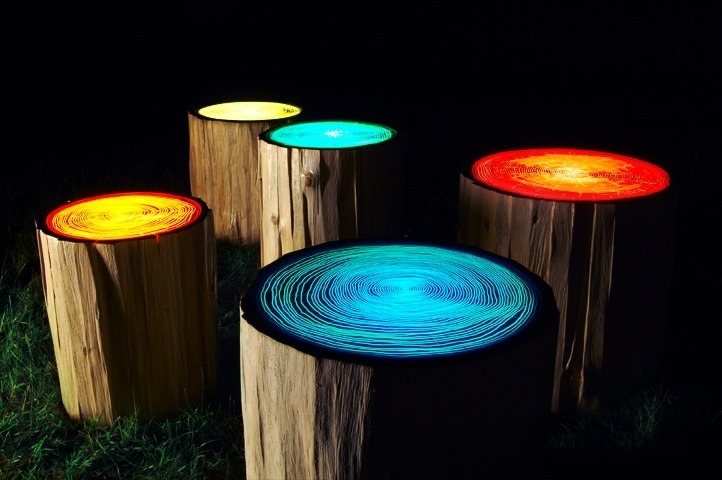 Viewable from distances and infinite perspectives, they illuminate the trails and the towering trees of the Woodworks landscape and transform it into a new place, startling, playful and beautiful. 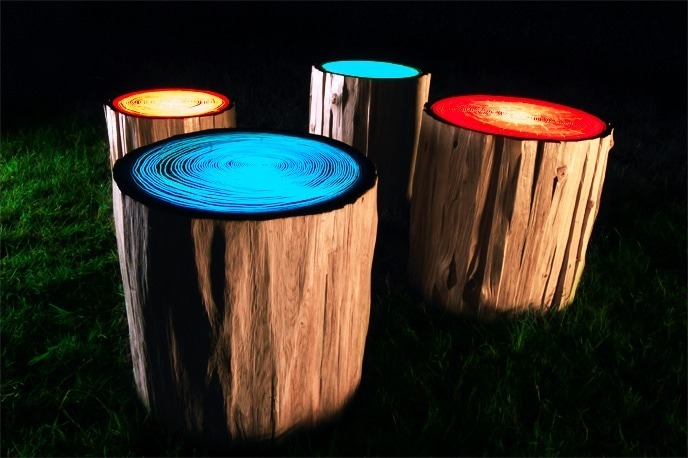 Each piece changes and evolves through the day in different lights and times and weathers.